In the conspiracy of a lot to do at work and a lot to experience in life, staying ahead of the pack is an uphill battle, isn't it? Especially when it’s about desk-to-drink situations! They’re intriguing and experimental to catch the fancies of a versatile lady - who likes to elevate her fashion game, be it a board meeting or a full-blown party right after; or her penchant for last minute adventures. Bid goodbye to those bygone hacks – carrying sequins to the office, white shirt to a party or a pitch-perfect red lipstick look – These aren’t good enough to save your day, or we should better say evening! Why to wheel a bag whole day full of alternative outfits and put yourself through the hassle of dressing rooms? Don’t fret! Our list will swiftly take you from your last email to a divine sip of wine with least efforts and utmost superb-ness. We synonymize safe with black and white or solids; the little LBD does no harm when you talk about the desk to bar look nor will the monotone outfit. Try beige – which is not a basic anymore. Less will speak more for you! And the other way round, solids gives you more of a canvas to add and accessorise. Agreed! Right? 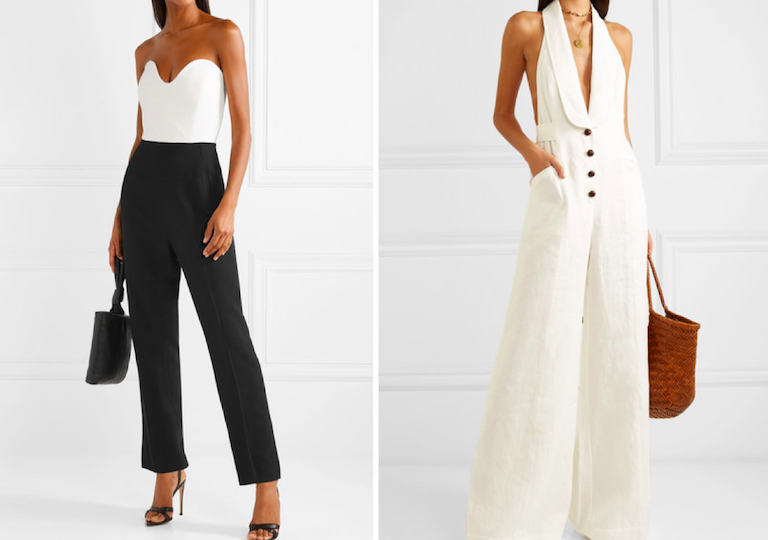 You can hug jumpsuits at any time of the day, a piece that makes your wardrobe even more versatile. 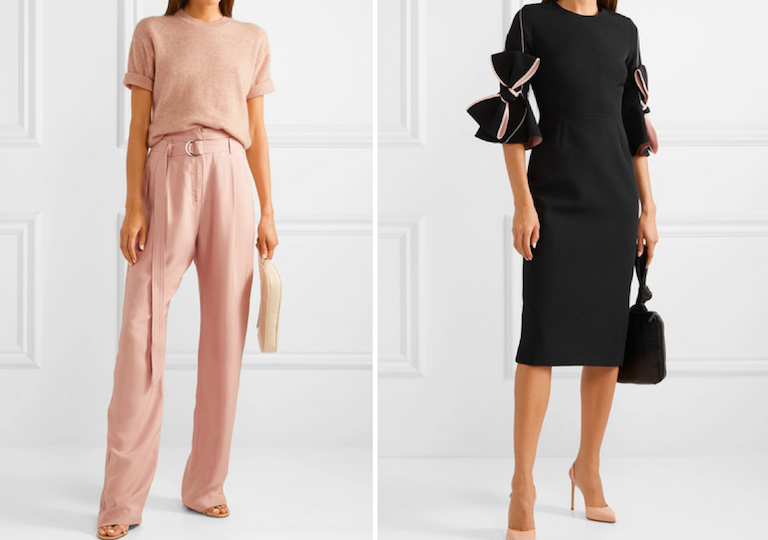 Choose Roland Mouret’s strapless alike or go Zimmermann’s Resort’19 corsage style, transformation secret is to go on and off a blazer. A dear friend for winters, that will neither make you look shabby at a party or fine dine, nor will it over-do as your workwear. We love Gucci’s Crystal Embellished Bow-detailed velvet dress. Close the evening with an embellished clutch and voila! 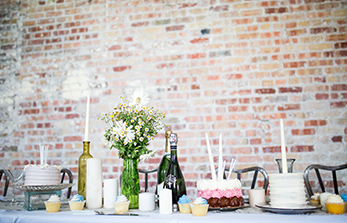 Planning a mood trip from a pro lady to the whirlwind party child? Shake hands with prints and patterns! 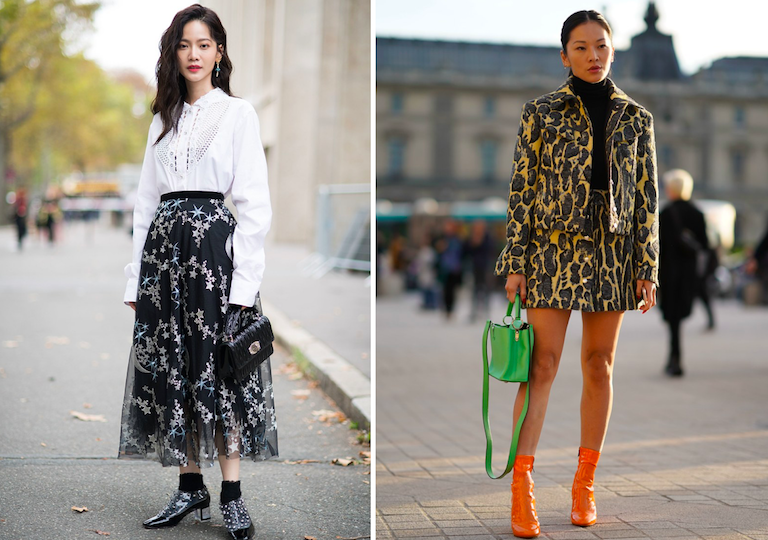 Fix your go-to white shirt with a sumptuously falling print skirt. Also, not to forget our oh-so-favourite pattern of the season - animal print is precisely a go-to when we say a glam evening about town. Pull your bold heels out, to accomplish a simple deal. 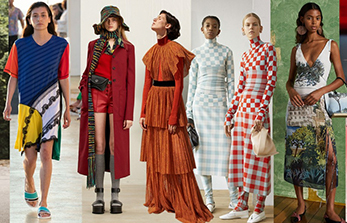 We love Gucci, Ferragamo and Prada’s SS19 collection to spin your appearance beyond perfection. We infinitely love Sigourney Cantelo’s take on transformational make-up for an off-duty chic look, that drifts our focus away from the sartorial switch, honestly! Or channel your inner venus with more insightful beauty trends of SS19. What will you pick for your evening style? May be a tad-bit of water-coloured eyeshadow? 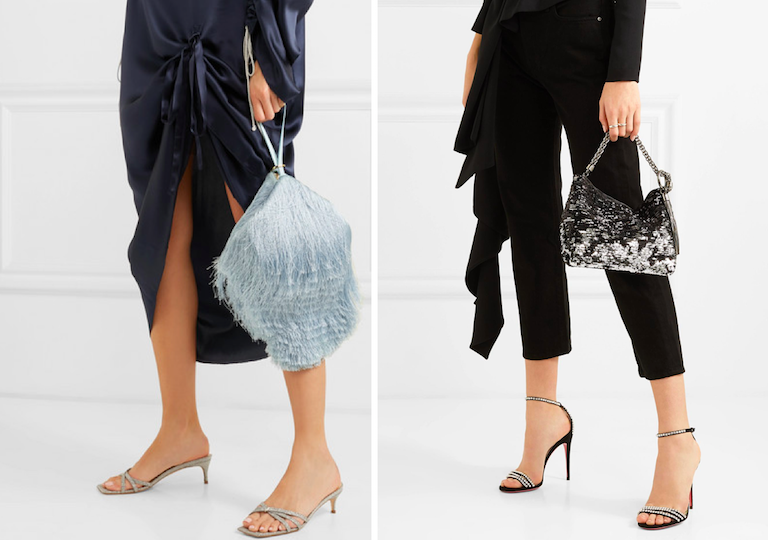 Switch your bag with Jimmy Choo’s Callie Sequined Satin Clutch or Fringe Leather clutch from Hillier Bartley (that can wait in your handbag for the day until it’s time! ); or go day-to-night with cult favourite Saint Laurent Cassandra bag – a definite worthy contender. For jewelry, go utter gold this season – says our Versace Pre-Fall 2019 inspired hipster! 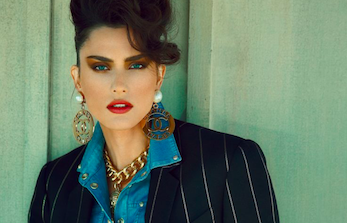 A good range of statement pieces is vintage to your wardrobe, don’t shy away from asymmetrical pairs , layered chains, sleek bracelets, midi rings and ear-studs too. 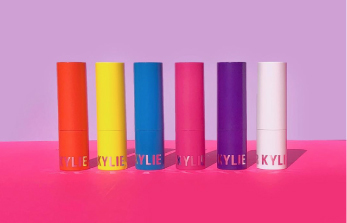 An all-round collection is always a good idea! How are you planning your next jiffy moment? We’d love to know.